Snowflake Academy Foundation Do You Want to Be Part of the Future? Donate Now with PayPal! Thanks to everyone who helped with the 2017 Annual Quilt Show! It was a beautiful show and we displayed over 70 quilts! Between the show and the quilt raffle we received $2,015 towards renovations for the Academy. An exciting new book about the Snowflake Academy is now available! hand-quilted or machine-quilted only. You can download the application to display a quilt here. You will need Adobe to open this file. 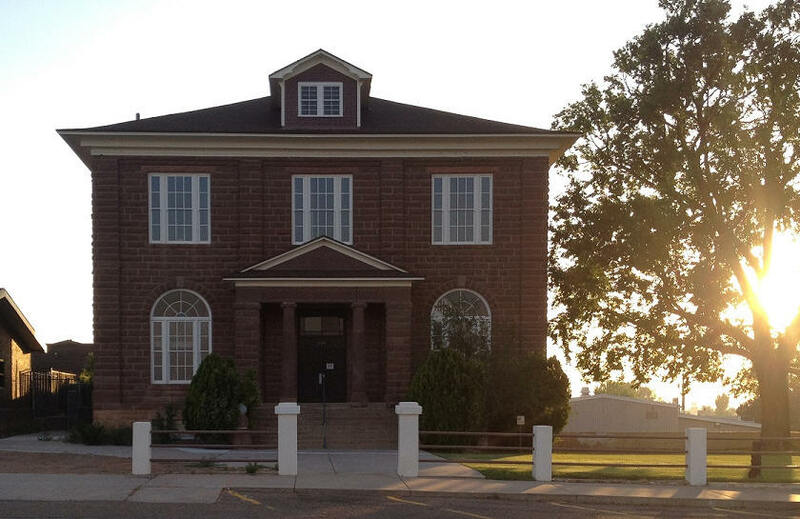 All proceeds from the raffle quilt and entry to the quilt show go to the renovation of the Academy Building. 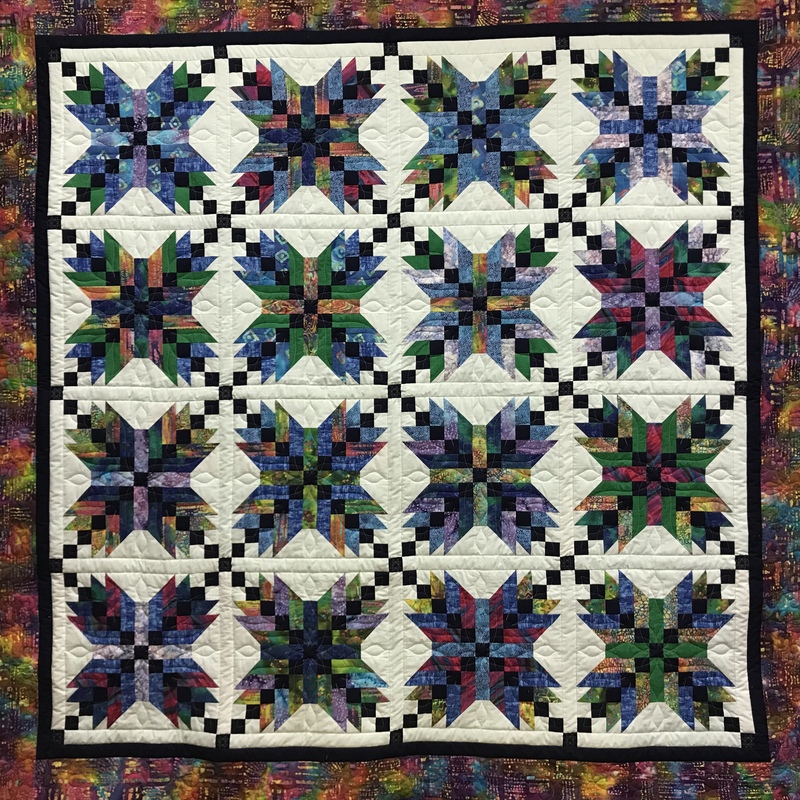 Entry fee for the quilt show will be $2 for adults and $1 for children. You Can Now Help Renovate the Academy by shopping at Amazon.com - Click Here to Find Out How! The Snowflake Academy Foundation, a non-profit corporation dedicated to supporting the renovation of the historic Snowflake Academy Building, is moving forward to obtain and manage the resources that will be needed to renovate and properly maintain the building as a library that serves the White Mountain region. Gordon Farr, Jr., President of the Foundation, emphasized that, "We would encourage all who have walked through the Academy's doors, as well as their descendants, to contribute what they can to the renovation effort. No amount is too small and will be greatly appreciated. Our goal of raising in excess of 1.9 million dollars is monumental. There will be several fund raising options for people to participate in. 100% of the monies contributed will go into the project. We would also encourage donors to share their memories of the Academy and experiences they had there." He sees the effort as one that extends well beyond the boundaries of the communities that will use the library on a daily basis. "There are thousands of Alumni now living throughout the world who were somehow influenced by their experiences there. We want to spread the word about this effort and encourage all who have an interest to tell others who might also help in preserving this historic building." 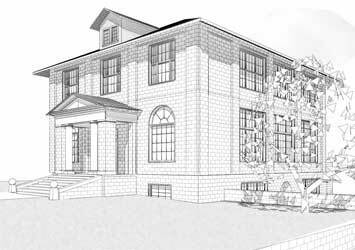 Efforts are underway to make this artist's rendition of the renovated Snowflake Academy Building a reality. ©2006 Snowflake Academy Foundation. All Rights Reserved.